Welcome back to Open House! Randy Seidman here, excited to bring you another two hours of the grooviest beats. If you want to be heard on the show, call +1-315-RANDY-OH (315-726-3964), drop me a voicemail and let me know where you’re listening from. Had a great time playing last month across South East Asia. Coming up October 28th, I’m back at Avalon Hollywood playing with Dirty South for Halloween weekend. Today’s episode features a portion of my set recorded at Jiro in Kuala Lumpur a few weeks ago, followed by an exclusive session with Luigi Rocca from Hotfingers & 303lovers. For now, turn it up. Up next is one of my favorite artists, one of the men behind Hotfingers & 303lovers, Luigi Rocca. 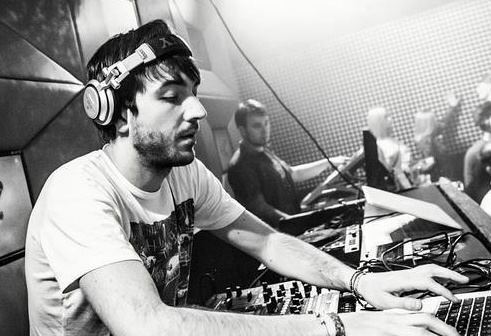 His tracks have been supported by the biggest names in the game, and have consistently found their way to the top of the charts. Today, he’s here just for you. For the next hour, Luigi Rocca is in the mix.